Giveaways, Live Music, Food and more! 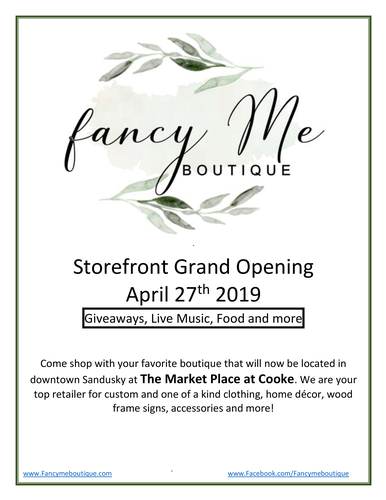 Come shop with your favorite boutique that will now be located in downtown Sandusky at The Market Place at Cooke. We are your top retailer for custom and one of a kind clothing, home décor, wood frame signs, accessories and more!